Gardum Park in Dromore and the many hundreds of spectators in attendance were witness to one of the best games of underage football that you are every likely to see on Saturday afternoon. This game had absolutely everything you would you would dream of in a game of football. There was blood, sweat and no shortage of tears by the time referee Dan Mullan blow the final whistle and the end of 80 absorbing minutes of football. Down champions Kilcoo ultimately emerged victorious to take their place in the final of the 2017 Paul McGirr U16 Club Champions Tournament, where they will face Crossmaglen, but it took a late injury time free from them to take the game into extra-time. With both teams laced with excellent scoring forwards, the high-scoring game that was predicted did not happen. Both teams appeared to be afraid of their opponents racking up the scores and both played with many men behind the ball when not in possession. This did not lessen the spectacle however. The standard of tackling, blocking and general defending was a sight to behold and a credit to both teams and their managements. Before the game started Kilcoo surprised their opponents lining play maker Shealan Johnston out at centre back and top scorer Justin Clarke at midfield with the Carrickmore management making several positional changes to counteract these switches. Scores were at a premium in the first half, Rory Donnelly and Brian Conway for Carrickmore and Tiarnan Fettes and Macdarragh Hynes were in masterful form shutting out the key men of their opponents. The exchanges were not for the faint-hearted with bodies being put on the line as both teams set their stall out in an effort to gain ascendency. Carrickmore’s talisman Stephen Grogan, who had a tremendous battle with Fettes, got the first score of the game before two from Jamie McKee, one a free, put the Magpie’s in front. Kilcoo though were to suffer a major blow when wing forward Tomas Fettes suffered a nasty collarbone break. A great effort with his weaker left foot from Grogan left the sides level going in at the break as the atmosphere remained tense. The second half saw the game starting to open up a bit. Both sets of management took the shackles off and the game developed into a tremendous spectacle of skill, passion and commitment. Justin Clarke put his side ahead with an early score which was equalised by a Grogan free after great work from Carmen corner-back Rory Donnelly. Another pointed effort from Clarke and one from man of the match Shealan Johnston gave Kilcoo a two point lead. Johnston was making some amazing runs form deep and his composure and skill on the ball was a joy to behold. Carrickmore though had their own heroes throughout the field, none more so than full-forward Danny Fullerton, who had a brilliant second half. It was a Fullerton point that reduced the deficit. With both sets of supporters raising the roof from the rafters off the new Canon Tom Breen stand with their chants, both teams responded as the temperature went up another notch. A pointed McKee free for Kilcoo put two between the sides before Carrickmore took control of the game. Midfielder Paddy McCallan started to make a huge impact, using his immense power to gain possession and punch holes in the Kilcoo defence, and fending off some huge hits as he drove his team forward. A stunning effort from Fullerton and a very well converted free from Grogan brought the teams level yet again. But Fullerton hit a score from over 50 yards in the dying minutes much to the delight of the Carmen support. It was a score worthy of winning any game and it looked like doing so until one more stupendous run from Johnston was brought to a halt 50 yards from goal as the game entered injury time. As Johnston stepped up to hit the free, he spotted a colleague unmarked inside, he went for the return and was fouled just as he was ready to pull the trigger. Johnston got up, dusted himself off and converted the free to bring the game into extra time. In truth any neutral present was delighted to another twenty minutes of this enthralling game. The decisive score of the game came straight from the throw-in. Clarke won possession for Kilcoo and a mesmerising move between himself, Johnston and McKee resulted in a superb finish to the bottom corner from Clarke to give Kilcoo a lead they were never to lose. McCallan responded with an inspirational score for Carmen before Johnston got the final score of the game at the end of the first period. The second period of extra-time was real backs-to-the-wall stuff for Kilcoo and only an incredibly brave goal-line block from Jack Devlin denied Fullerton what would have been a fully deserved equalising goal. This was an incredible advert for underage football and a great tribute to Paul McGirr, the man the tournament is named after. A very relieved and emotional Kilcoo manager Conor Laverty was privileged to have played a part in it. “That was a terrific battle, it is great to come out of it on the right end of the result in games like that,'' said Laverty. “Carrickmore are a brilliant team with a very bright future ahead. It was very hard luck on a superb Carrickmore team, with the heavy schedule of games, having won the Tyrone league title the previous Wednesday evening, taking its toll but they can feel incredibly proud of the effort they put in. Carrickmore: T McGarrity, J Slane, S Sweeney, R Donnelly, M McCallan, B Conway, N Canavan, P McCallan (0-1), C Cuddy, O Munroe, L McGarrity, C Munroe, J Donaghy, D Fullerton (0-3), S Grogan. Kilcoo: C Sloan, Tiarnan Fettes, M Hynes, C Rogers, S Og McCusker, S Johnston (0-3, 2f), A Morgan, L Clarke, J Clarke (1-1), Tomas Fettes, N Doyle, C Madine, R Tumelty, J McKee (0-4, 2f), J Devlin. 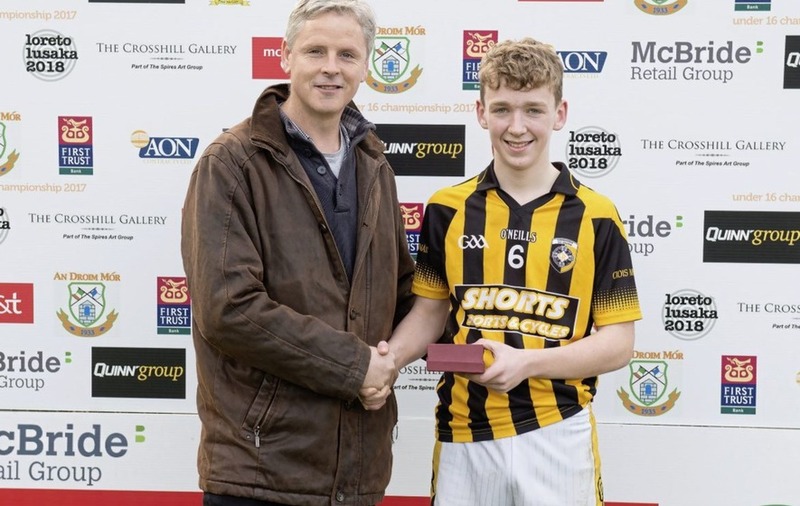 Crossmaglen progressed to the final of the 2017 Paul McGirr U16 Club Champions Tournament following a tough encounter with Fermanagh champions Derrygonnelly who were appearing in the semi final for the first time. Both teams were very evenly matched and the game was tight throughout with Derrygonnelly’s lack of fire power, hindered by the absence of the injured Michael Glynn, being the sword that their challenge ultimately fell on. Crossmaglen, under the tutelage of Tim Gregory and Gene O’Callaghan, came into the game already having overcome two tough challenges from Lavey and Antrim champions St Brigid's. In both these games they started poorly but lessons were learned and they came storming out of the blocks in this encounter. With the imposing Shane Morgan in midfield they dominated early proceedings and reaped the rewards when a dangerous, angled effort from midfield partner Oisin Doyle dipped under the cross bar for an early goal. Derrygonnelly though did not let this deter them and once they got their defensive system in place with Dara Burke again playing a vital role as sweeper Cross struggled to make further inroads into the scoreline. Rian McGovern, who had a tremendous battle with Doyle throughout, got the Fermanagh champions on the scoreboard with a fine point, before the diminutive James Teelan countered with one for Cross. Full-forward Conor Burns who posed a constant threat for the Cross defence reduced the deficit with a great finish from out wide, however Derrygonnelly were never able to reduce the gap further than two points as the Cross defence led by man of the match Miceál Murray and Thomas Cassidy held firm. Further scores from Teelan, Dara O’Callaghan and a pointed free in reply from Rian McGovern left the half time score 1-3 to 0-3 after an intense but low scoring first 30 minutes. Crossmaglen started the second half in similar fashion to the first when two points from O’Callaghan and Eoghan Kelly put some daylight between the sides. They were however very lucky not to concede a goal when Dara Burke, who was now playing a more advanced role, was denied by two great goal-line stops from keeper Stephen Morgan and centre back Murray in quick succession. 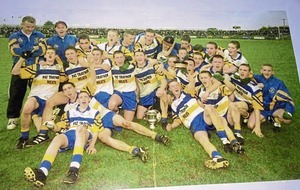 At this stage of the game, Derrygonnelly began to get on top via midfielders Gareth and Rian McGovern and centre back Leigh Green, who was having an increasing influence with his marauding raids. Unfortunately for them their colleagues did not make the best of the chances they were creating. Two frees from Doyle and O’Callaghan left seven between the sides but the scoreline did not reflect that pattern of the game. An inspirational effort from Gareth McGovern seeing off numerous Crossmaglen challenges and a converted free from near the sideline by Rian McGovern gave the Fermanagh men some hope as the vociferous Derrygonnelly support got behind their team. Cross reacted by going into defensive mode, blocking up any gaps at the back to ensure any further efforts from Derrygonnelly were taken from distance and under immense pressure. They were able to break away at one stage for another Doyle score from a well rehearsed 45-yard kick routine. Corner back Brandon Curry got the final score but it was too little, too late for a gallant Derrygonnelly side who will look back on the game as one they could have won. 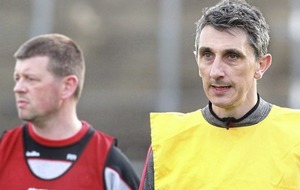 Crossmaglen joint-manager Gene O’Callaghan was a relieved man at the final whistle. 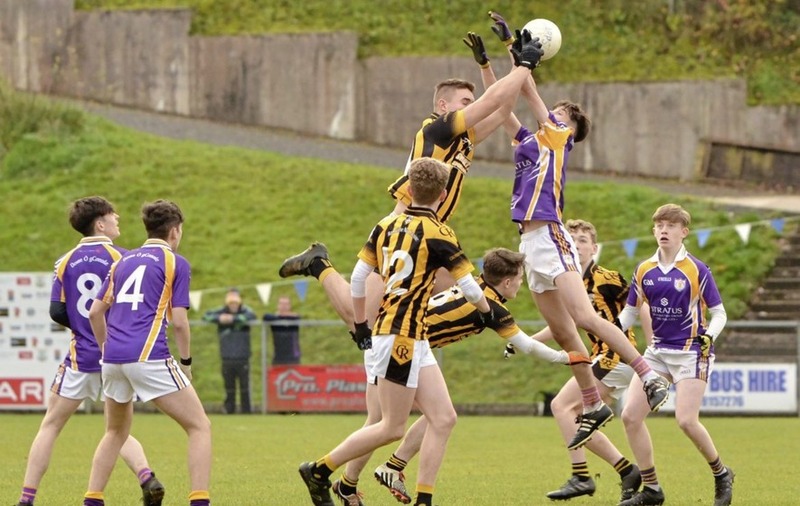 “We came into this game knowing we were going to be in for a battle against a defensive and well organised Derrygonnelly side and a battle was certainly what we got,;' he said. “The goal gave us the perfect start and to be honest only for it we would have struggled. It gave us a cushion throughout that we were able to hold on to. “We are certainly not completely happy with our performance but semi-finals are all about winning and that is one thing our boys are good at. “It was not pretty at times but we got there in the end. Cross were marginally the better team throughout and now progress to the Paul McGirr final on Sunday for what should be a tasty affair against Down champions Kilcoo. Derrygonnelly: L Skuce, R Campbell, R McHugh, B Curry (0-1), A Jones, L Greene, N Maguire, G McGovern (0-1), Rian McGovern (0-3, 2f), D Burke, C Gallagher, C Corrigan, E Magee, C Burns, Ronan McGovern. Crossmaglen – S Morgan, R Kearns, T O’Callaghan, T Cassidy, O McKeown, M Murray, R Duffy, P Finnegan, O Doyle (1-2, 1f), D O’Callaghan (0-3, 1f), E Kelly (0-1), T Duffy, L Finnegan, S Morgan, J Teelan (0-2).